Keeping abreast of your credit score is not only a practical move against potential fraud, but it also keeps you aware of your credit standing in case you want to take on a loan in the future. We all know that a good credit score will also mean lenient interest rates, which is why it is highly important to take note of your credit score regularly. There is only one website where you can get a copy of your three credit reports. You may download your credit report annually at annualcreditreport.com. This is the only website that offers this service as it is mandated by law. The credit report includes details of your credit accounts, debt balances, and payment history. However, the report will not show you your credit score. The credit score is what lenders will use to check your credit worthiness. However, getting your annual report will allow you to see any discrepancies, giving you time to report any mistakes before you get a loan. One place where you can get your credit score is CreditKarma. This website provides a monthly tracking of your credit score plus tools to help you understand your credit health. The site offers their services for free, unlike other websites which may charge you with other services. Some websites attract you to a free credit score but may consequently bill you about $15 per month for either credit monitoring or protection. 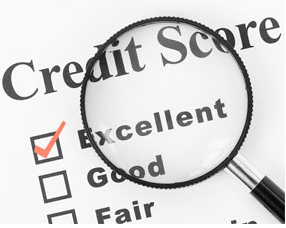 If you need constant access to your credit report and scores, credit monitoring may be useful. However, there really is no need to pay for the service if you just want to get an estimate of your credit score. Checking for your credit report or credit score will not cause your credit score to go down. Websites such as CreditKarma and annualcreditreport.com will ask for your Social Security Number in order to verify your identity. When using other sites that offer credit score services, be sure to check the authenticity of the site. Websites that ask for your credit card number may also attempt to charge you monthly fees for credit protection or credit monitoring. Running through your credit report annually and checking your credit score will not take too much of your time. However, doing so will help you save a lot of dollars in the future when you do finally plan to make that loan.